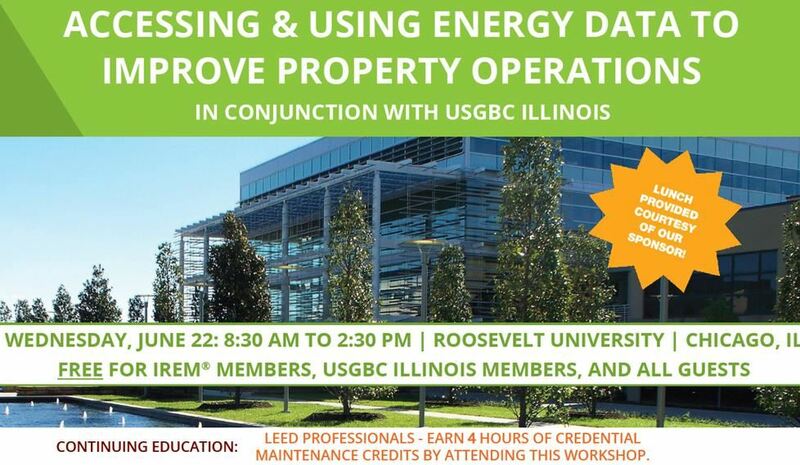 Join USGBC-Illinois and the Institute of Real Estate Management (IREM) on Wednesday, June 22nd from 8:30 AM to 2:30 PM for the workshop Using Energy Data to Improve Property Operations. Have you benchmarked under the Chicago Benchmarking Ordinance? Take the next step and gain cost savings with energy efficiency! In order to make operational improvements and retrofits that lead to energy efficiency benefits, you and your team need energy data. But how do you access this data? After you have the data, what types of analysis will help you make wise investments that improve property operations? SPECIAL BONUS: Hear from the EPA on exciting updates and enhancements to the ENERGY STAR® program and the ENERGY STAR Portfolio Manager® benchmarking tool!